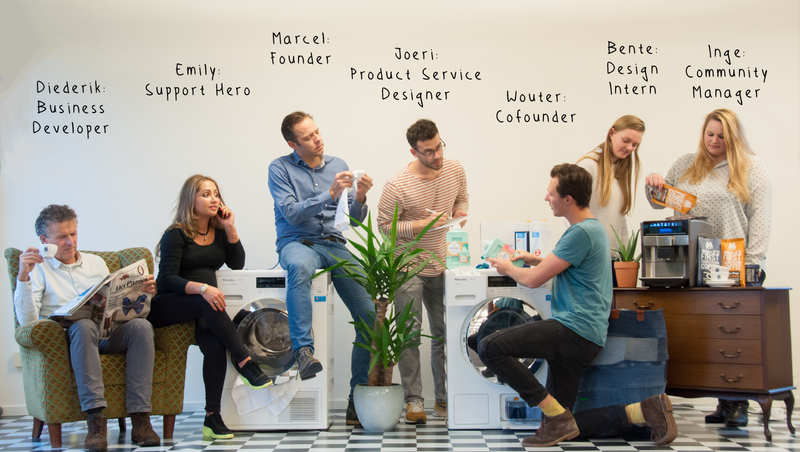 Dutch company Bundles introduced a pay-per-wash business model for washing machines. Households pay per load of laundry and receive tips and tools to lower washing expenses and improve washing results – through a mobile app. All in all: “Bundles customers save an average of 91 kWh of energy, more than 10 litres of detergent and 3000 litres of water per year”. The start-up Bundles installs Miele washing machines at the customer’s home. 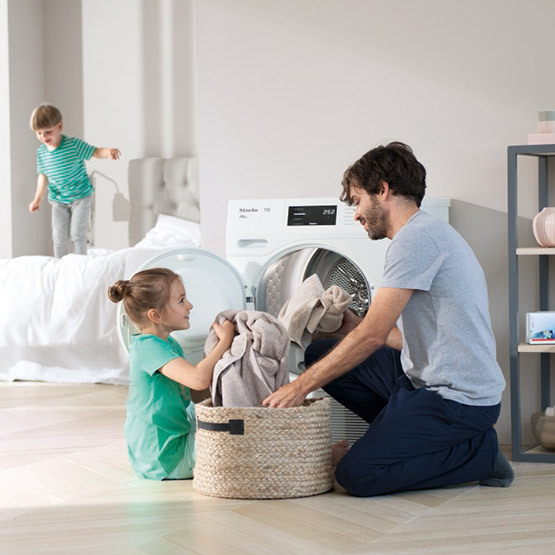 Miele currently manufactures sustainable washing machines and dryers. Together with the sustainable production, the company points out how easy it is to reuse the machines and the possibilities to recycle machine parts. Through its collaboration with Bundles, Miele is stimulated to design more circularly (upgradable, disassembling, long lifespan, etc. ), in order to reduce the costs of the wash-subscription. Bundles and Miele will ensure that the machines will get a new lease of life after their initial lifespan. However, Bundles does more than simply rent and service washing machines. Pay-for-performance schemes stimulate the usage of raw materials and, for that reason, they are a boost for the circular economy. Buying a product the traditional way disrupts the circular opportunities of a product. Therefore, you do not own a Bundle washing machine, but it is part of a wider service; cleaning your clothes in a cost effective and sustainable manner. To achieve this, Bundles has launched the Was-app (Wash App in English) which gives you tips on how to conserve energy, water and soap. Miele washing machines are connected to the internet and therefore, they are able to detect the most effective proportion between the washing load and amount of soap. Due to the long life span of the machines Bundles uses, more than 2000 disposable machines were saved in cooperation with more than 1000 users. Bundles customers also save an average of 91 kWh of energy per year, more than 10 litres of detergent and more than 3000 litres of water through efficient equipment and advice. That is the equivalent of 220 tons of CO2 or the amount of CO2 absorbed by more than 12,000 trees in a year. Optimising product use by connecting products to the web and apps is the future, according to Bundles. The software can also be linked to kitchen equipment, boilers and solar panels. In particular, products with high usage costs and high service expenses are suitable to the upgrading market. In the end, Bundles can relay its data back to the manufacturer, which can use it as a source to further develop their products.